A family fun day filled with food, games and entertainment – that is what’s promised this weekend for those who attend Castle Master’s event. Taking place on Sunday, March 31 from 11am to 5pm, the business owned by local couple Talia and Rohaan Simons will offer a mini-carnival atmosphere, complete with fun castles, slides, Games, Tattoos, popcorn, cotton candy, food and drinks. 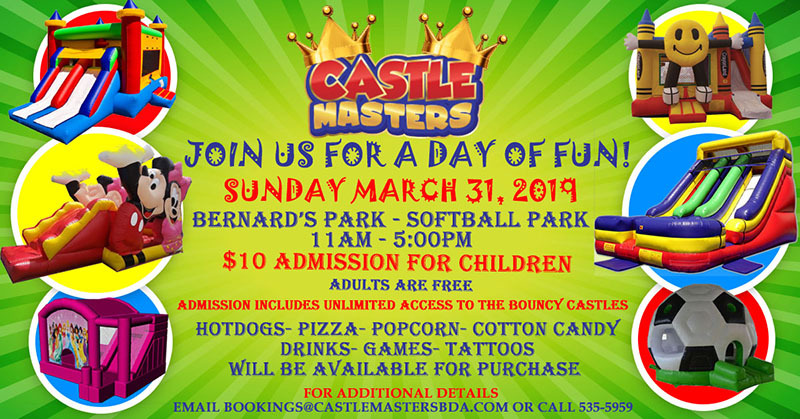 Hosted at Bernard’s Park Softball Field, the $10 entrance fee will allow kids unlimited access to the bouncy castles for the day; while refreshments and games will also be available for sale. Rohaan Simons, co-owner of Castle Masters, said: “We held an event in February and after we received feedback from that event, we knew we had to do this again. Overall the feedback was positive, the children had so much fun and the parents were happy. “We learned so much from the first one and are aiming to make each event bigger and better. We wanted to try and organize this event on a Sunday where there were less activities to give families and parents something fun to do with their children. 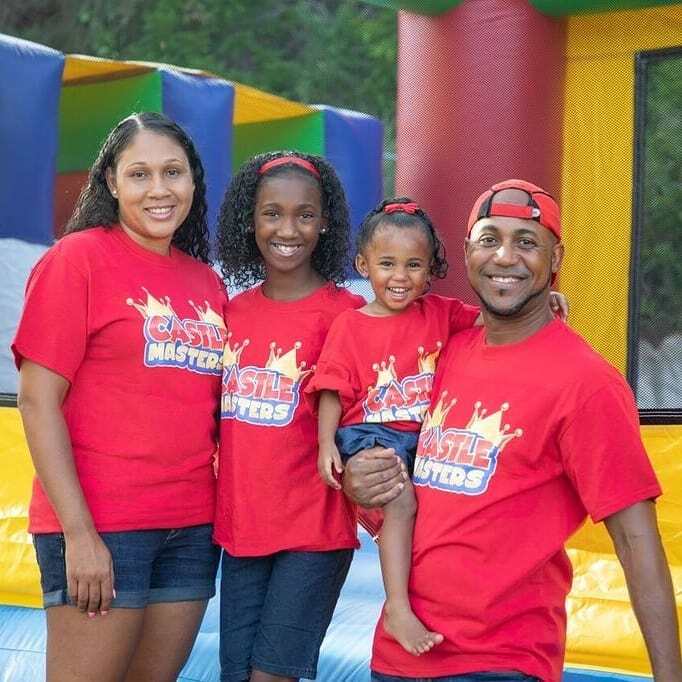 “We found that it was a lot of fun to host this event and saw it as a great way to introduce ourselves and our range of fun castles and party rentals to the community. We have some new castles in the we are planning on debuting them to the public. After the event last month, we started searching for a great outdoor location, so we can enjoy the beautiful spring weather. Now we are just hoping that the weather will cooperate.